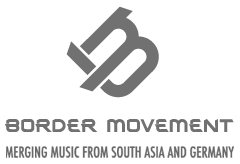 Anuradha Jayathilaka is a music composer and a producer from Sri Lanka. Inspired by many famous electronic musicians and classical musicians each track he make is a journey through an electronic soundscape. He’s been making instrumental tracks and songs since his first album “Sea Shore” (2010). “Sea Shore” is a collection of chillout and ambient melodies and atmospheric sounds that sooths the listener’s mind. With the second album – “Sunshine” (also released in 2010) He tried to reach the dance and house side of the electronic music world. The album quickly became famous on lastfm radio and on reverbnation. Since then He’s been making music on his home studio, collaborating with artists. His third album: “Time” released in 2011 is now available on lastfm for free. The album also features a song with the voice of Jillian Star; a US singer. Anuradha has worked with many talented artists around the world including Suchitra Lata, Gushi, Patrick Baker, Tommy Moran, Yui Hasashi and Donovane van Dyk who often writes lyrics.